The Southeast Connecticut World Affairs Council (SECWAC) hosts its first presentation of the new season Thursday, Sept. 20, at the Crozier Student Center at Connecticut College. The presenter will be Capt. Paul Whitescarver, Commanding Officer, Naval Submarine Base New London. Prior to the presentation, SECWAC will host a reception at 5:30 p.m. followed by their annual meeting at 5:45 p.m. The presentation is free for members or $20 for walk-ins. Following the presentation, join Capt. Whitescarver, guests, and fellow members for a delicious meal at Connecticut College. The price is $35/person. A reservation for dinner is required by Sept. 17. Call 860-912-5718 or email info@secwac.org to make your reservation (vegetarian option available if reserved in advance). Checks payable to SECWAC or credit card payment are accepted before the meeting by Courtney Assad. SECWAC is a membership organization. A guest of a member may attend once as a complimentary guest. Thereafter, there is a $20 walk-in fee. Full membership is $75 per person or $25 for Young Professionals under 35. Membership is always free for students. More information about membership and its benefits can be found at secwac.org/membership. Whitescarver became the 51st Commanding Officer of Naval Submarine Base New London in Groton, Conn., in December 2015. While the installation’s history dates back to 1868, Naval Submarine Base New London was designated the Navy’s first Submarine Base in June 1916. 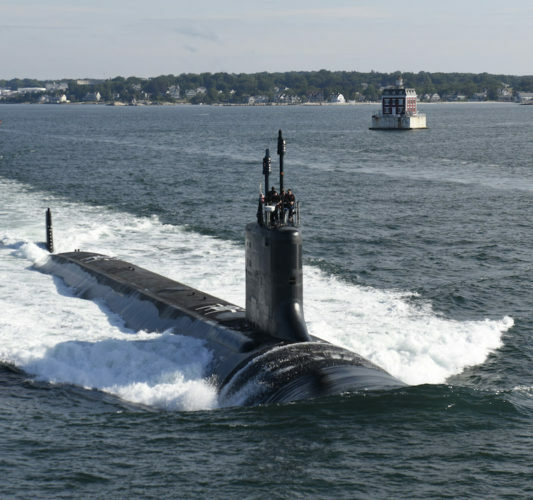 Today, the base occupies more than 680 acres straddling the communities of Groton and Ledyard, Conn., and serves as home to more than 70 tenant commands and 15 attack submarines. A native of Roanoke, Va., Whitescarver enlisted in the United States Navy in August 1980, serving 11 years in the enlisted ranks before being selected for the Enlisted Commissioning Program. Graduating from Virginia Tech in 1991 with a Bachelor of Science degree in Economics, he then completed his initial officer nuclear power and submarine training. A submarine enters the Thames River. At sea, he has served in the submarines USS MINNEAPOLIS-SAINT PAUL (SSN 708), USS NORFOLK (SSN 714), and USS ALABAMA (SSBN 731). Whitescarver commanded USS SCRANTON (SSN 752) from 2009 to 2012. Ashore, his assignments have included service on the Joint Staff and the Chief of Naval Operations (CNO) Staff. On the Joint Staff, he was the Executive Assistant for the Deputy for Force Application and Director for Chemical, Radiological, Biological and Nuclear Defense in the Force Structure, Resources, and Assessment Directorate, J-8. 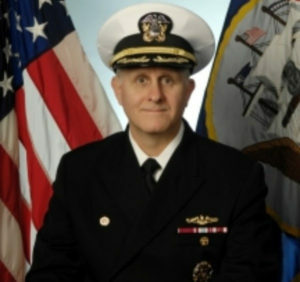 On the CNO Staff, he was Nuclear Enlisted Program and Community Manager for the Naval Nuclear Propulsion Program for the Chief of Naval Personnel, N-1. Prior to taking command of Naval Submarine Base New London, he most recently served of the staff of Commander, Submarine Forces Atlantic (CSL) in Norfolk, Va., as the Operations Officer. For more information, visit secwac.org.